Yon koudèy sou pi bel foto kap domine aktyalite a nan lemond. 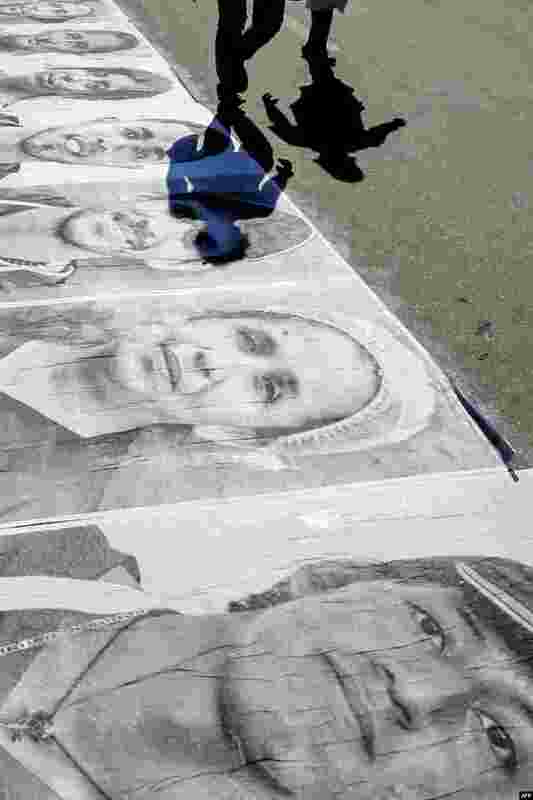 1 Venezuelans walk past portraits of Venezuelan migrants and refugees displayed along the Simon Bolivar International Bridge in Cucuta, Colombia, as part of the 'Somos Panas' ('We Are Buddies') campaign organized by several NGOs to give visibility and face to people in migratory conditions. 2 Catriona Gray of the Philippines (C) is congratulated by contestants after winning the Miss Universe 2018 in Bangkok, Thailand. 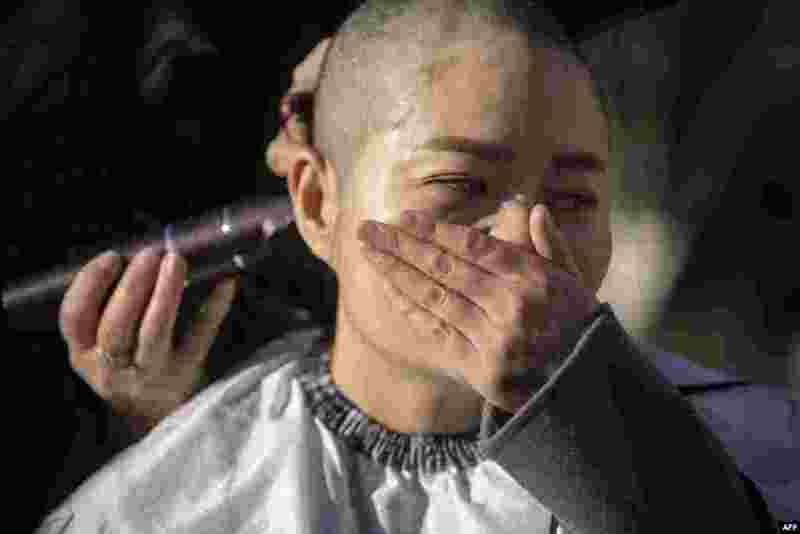 3 Li Wenzu has her head shaved to protest the detention of her husband and Chinese human rights lawyer Wang Quanzhang, during the 709 crackdown, in Beijing. 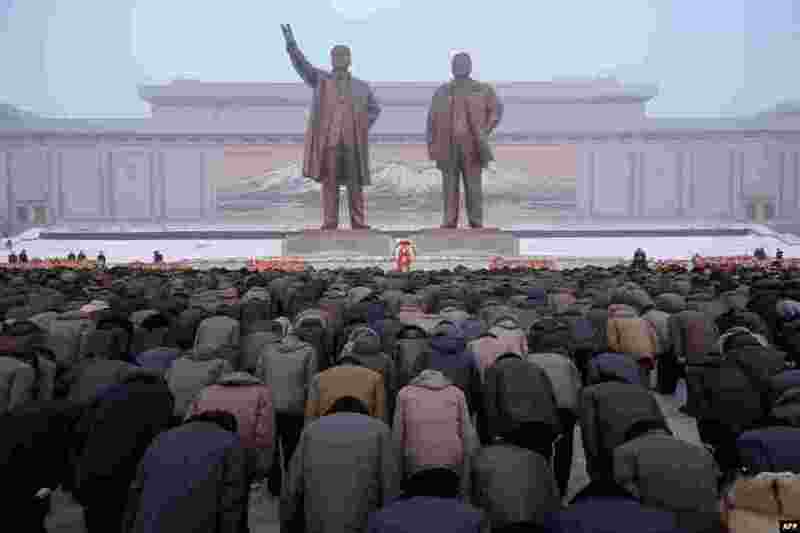 4 Pyongyang residents bow before the statues of late North Korean leaders Kim Il Sung and Kim Jong Il during National Memorial Day on Mansu Hill in Pyongyang.